Puppy breeder and builder John Boland will be contesting his first election. He is running as an Independent in Laois Offaly and in Longford Westmeath. 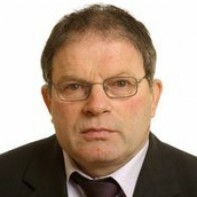 Boland is one of two candidates contesting the 2011 election in more than one constituency. John Boland said on shannonside radio today that he was going to donate 20% of his salary back into the constituency to sponser activites that are going to bring the community together. For example: Football, chees, draughts, clay shooting, theatre, art, music, mini marathons ect. There is also a Facebook page where he outlines what he intends todo. Search.. John Boland General Election 2011 for more information on this candidate. we are all the way out in streamstown and have heard all about that puppy farmer, what a disgrace to your country. They have made programmes about people like you in the U.k. and it gives Ireland a terrible name. If there was a big enough market would you grow dogs for meat? Deluded half wit. Not “farmer”… “puppy farmer”. John Boland has nothing in common with good, hardworking people. He would be better putting that 20% into looking after the dogs he breeds. He’s running in my sister’s constituency. She’s now on a mission to let as many people as possible know about his puppy farming background. Good luck trying to win an election with that noose around your neck. Shame on you! He claims to be on the side of the elderly and ill – he causes suffering to living creatures for money, how could he be a man of compassion and integrity? NO VOTE. Disgraceful that someone who has been investigated for animal cruelty and written about in the British Media is actually looking to be a representative of the people of Ireland. Shameful , shocking and takes Ireland back into the dark ages in the eyes of our European counterparts. A vote for John Boland is a vote for greedy, heartless, self serving ignoramus. 700-1,200 dogs?? I hope the outcome of this election campaign and all the publicity you are getting is that you finally get investigated by the authorities and shut down. It’s embarrassing that a horrific person like this could even entertain the notion that people might choose him as a representative. I’m writing here to represent the poor animals that suffered in his care (or lack there of). NO VOTE! Ghandi said something along the lines of that you can judge a people by how they treat their animals. If that is the case I wonder what the world would think of Ireland if we allowed people like John Boland to represent us? In our current troubling situation we need people of sound and ethical mind to run our country and represnt us in the International arena. Shame on you John Boland. oh please….. like this is the calibre of person that we want running our country….. I find it dispicable that this man could possible have a mandate to represent the people of Ireland. A man that has been investigated for on animal cruelty charges not once but repeatedly and who instead of stepping up and answering the all…egations that have been posted on his facebook page chooses to delete them instead. Democracy and the pre election process has hit an all time low in Ireland and its just another step backwards in terms of animal welfare.If this man gets elected what does it say about Ireland, the puppy farm capital of Ireland? You should withdraw and hang your head in shame John Boland. “If you have men who will exclude any of God’s creatures from the shelter of compassion and pity, you will have men who will deal likewise with their fellow men” St Francis of Assisi. Mr Boland you are a scumbag. Unsurprisingly, Mr Boland Jnr was not in the mood to answer any questions when we called on him this week. ‘I’ll tell you what you can do, you can get off my land, get out of my house, and f*** off back to England. F *** you, f*** off back to England,’ he said before giving us the V-sign for good measure. Thats the sort of lad we need on the Dail at the moment. Fantastic PR skills by the looks of things NOT !!!! And he’s running in two constituencies…….good luck with that one ! Why was he running in the election in the 1st place ? Not enough grants available for the puppy farm, this lad is joke, and a sick joke at that !!!! !